This small bottle contains the brand-new formula by Jungle Juice and takes you to the MAX! Its potent recipe is a special batch of pentyl nitrite, giving you powerful relaxing yet stimulating effects for your body and mind, arousing you for the sensual activities that will follow. Jungle Juice is the most popular brand of liquid incense in the world and is back once again with their high-quality distillation process that brings out all the pure nitrite and eliminates the water residue, giving the formula a unique purity and strength. 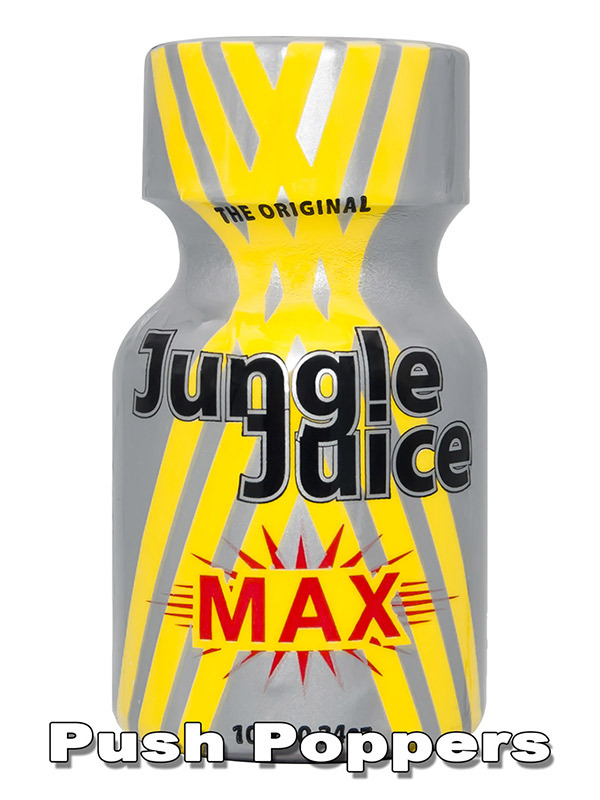 Get the new original Jungle Juice Max in its big or small bottle while it's available!